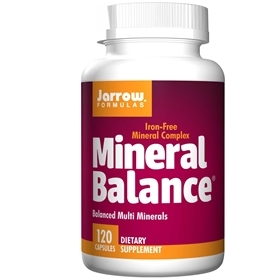 Usage: Take 1–6 Mineral Balance capsules daily with meals, or as directed by your qualified health care consultant. For best results, divide between meals; do not take all the capsules at one time. Absorption rate is higher if taken at separate intervals. Adjust usage by how well-balanced your diet is and whether you consume substances such as coffee or colas. Magnesium stearate and silicon dioxide. Capsule consists of gelatin. No wheat, no gluten, no egg, no fish/shellfish, no nuts/tree nuts.